The Letter of Aristeas, which was written by a Hellenistic Jew in the mid second century BCE, is an elaborate legendary tale about the translation into Greek of the five books of Moses, the reasons for it, and the circumstances surrounding it. The story provides the basis for the name by which the Greek Bible has become known, the "Septuagint," and is at the center of a project by Benjamin Wright. Wright, professor of religion studies, studied 23 Greek manuscripts, which purport to tell the story of Aristeas, an official of Ptolemy II Philadelphus, a Greek monarch of Egypt in the third century BCE. 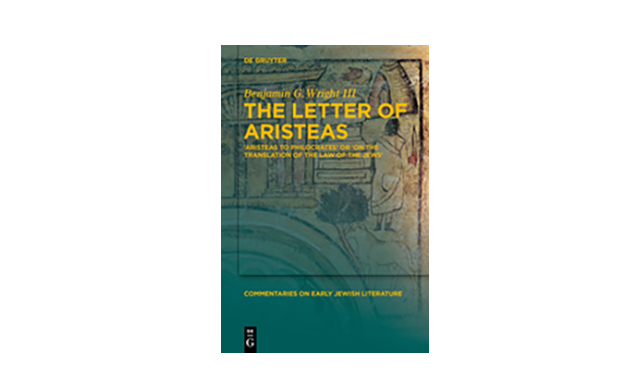 The letter is addressed to Aristeas’s brother and tells how Ptolemy II requisitioned a translation of the first five books of the Old Testament into Greek. The translation was made in 72 days by 72 elders, brought from Jerusalem, “as if by some design.” As part of a forthcoming book, the first full length commentary on Aristeas, Wright, whose scholarship focuses on ancient translations and issues surrounding translation in the ancient world, gives a new translation and comments on the text, setting out what the Jewish author was trying to accomplish with this story. Scholars argue about the extent to which the Letter of Artisteas provides an historical account of the origins of the translation. Wright’s research in this area, that included his 2007 English translation of the Septuagint, led him to the conclusion that this book doesn’t tell scholars anything about the historical origins of the translation. The Letter of Aristeas is important to scholars not only because of its connection to the Septuagint but also because it is one of the few early Jewish works in Greek preserved in its entirety. For many ancient Jews, the Septuagint was their bible, and it became the scriptures of early Christianity. New Testament writers used the Septuagint, and this new English translation of and commentary on Aristeas provides insight into how many Greek-speaking Jews understood the origins of their scriptures.